The African Wild Dog is found only in Africa and is closely related to the wolf. The scientific name (Lycaon pictus) is derived from the Greek word meaning “painted.” Because of this fact, they are also referred to as Painted Dog, Painted Wolf, or Spotted Wolf, each which accurately describes the appearance of their mottled coat. No two dogs are marked the same, and unlike the domestic dog, which has five toes on each foot, it only has four. (Lacking a dewclaw) They live in packs and together they are very organized and efficient hunters. Their targeted prey rarely escapes and is consumed by the pack in a matter of minutes. 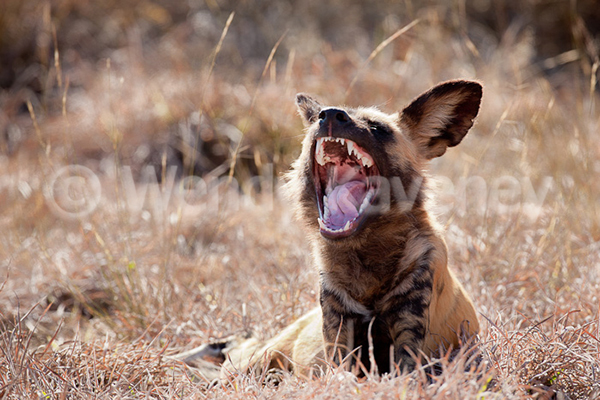 The African wild dog is listed as ‘endangered’ under the Endangered Species Act and on the IUCN red list. In some areas, they are close to extinction. 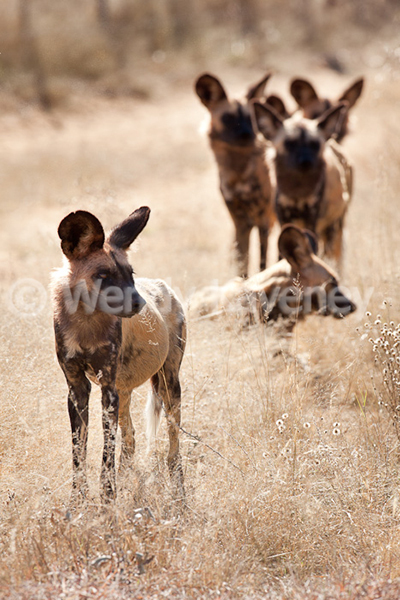 Between 2,000 and 5,000 African wild dogs remain in the wild, mostly in game preserves or national parks. African wild dogs face a number of serious threats, including habitat loss, human persecution (hunting and poisoning), disease spread from domestic animals and isolated populations. 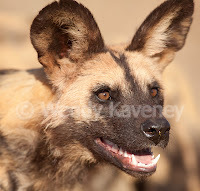 Currently one of the few captive populations of African Wild Dogs in Namibia is at The Harnas Wildlife Foundation. This population grew from various packs of wild juvenile and adult dogs. All the dogs in the first pack were very badly wounded. The Harnas Wildlife Foundation’s efforts are helping to conserve the African Wild Dog population and one can read about and support their mission here. 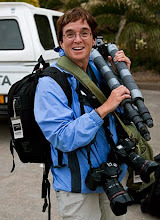 On my recent trip to Namibia, and visit to Harnas, I was fortunate to have the opportunity to watch and photograph a pack of dogs in their feeding frenzy- an event that is extremely rare to see in the wild! Some of my images captured during that exciting morning can be seen in my newly posted AFRICAN WILD DOGS GALLERY.